For Sanjay Aggarwal, Chief Executive of the grounded Kingfisher Airlines, the new year did not exactly begin on a happy note. His January 18 meeting with a State Bank of India-led (SBI) team of bankers failed to make much headway on plans to revive the beleaguered carrier. Three days later, some former Kingfisher pilots and employees threatened to move court to seek the closure of the airline if their outstanding salaries were not paid soon. But senior bank officials now see hope on the horizon. They say Chairman Vijay Mallya is in talks with investors, including two airlines, from West Asia in a bid to sell one of them a stake in Kingfisher so that the troubled airline can fly again by the end of March. The bankers, who have been engaged with the Kingfisher management, say Mallya will use part of the money he got from selling his stake in United Spirits to UK drinks giant Diageo Plc. last November along with outside investment to revive the airline. "He is definitely talking to investors but away from the media glare. He is desperate to see his airline back in business," says a banker who does not want to be identified. Kingfisher, which has not flown since October, owes close to Rs 7,000 crore to a consortium of banks led by SBI. It needs no-objection certificates from all stakeholders, including banks, oil companies and airports, to restart operations. The airline also owes money to GMR Infrastructure, GVK Power & Infrastructure and the Airports Authority of India for using airport services. A core group of banks has told the airline they will consider issuing a no-objection certificate and any fresh line of support only if it pays at least some of its dues, or about Rs 800 crore, to the banks. "We want Rs 800 crore. This figure is not cast in stone. We are flexible about it, but we want something for us on the table," says the top banker. Kingfisher's lenders have been patient so far. The airline lost its operating licence at the end of last year and so far has not come up with any convincing turnaround plan to get back into the air. Still, a senior banker says they are delaying extreme actions, such as recovery proceedings, because the airline has few tangible assets. The airline has not reported a profit since its start in May 2005 and has accumulated losses of about Rs 10,000 crore. Its shares hit a lifetime low of Rs 7.05 on the National Stock Exchange on August 13, although they have almost doubled since then on the back of positive signs from the government and the UB Group. 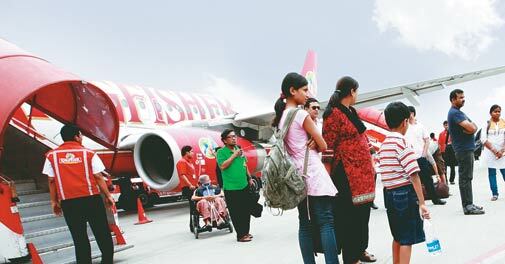 The airline is yet to submit a concrete revival plan to the Civil Aviation Ministry. But the government says it is willing to support a plan if Kingfisher were to settle its employees' dues. "We will move in accordance with the rules. The airline owes salary dues to employees, and huge dues to the Airports Authority of India. It will have to act with accountability and settle the dues," Minister of State for Civil Aviation K.C. Venugopal told Business Today. In January, Mallya wrote a letter to staff outlining a plan to revive the airline . He promised to invest Rs 650 crore from the UB Group so that some Kingfisher planes could begin flying again in the summer. But market analysts are sceptical. Estimates of how much Kingfisher needs to pump in immediately to fly again vary. Civil Aviation Minister Ajit Singh says the struggling carrier needs about Rs 1,000 crore to resume operations. Sharan Lillaney, analyst at Angel Broking Ltd, says the airline will require about Rs 2,000 crore to start with six to 10 aircraft. "It was grounded because of financial problems, not any safety issues… It has proved itself to be a good airline." But Kingfisher's troubles won't end with a fresh infusion of funds. It has already lost several pilots, engineers and cabin crew to other players in the aviation and hospitality industries, both in India and abroad. Mark D. Martin, CEO of Dubai-based aviation consulting firm Martin Consulting, says Emirates Airlines, Fly Dubai, Etihad Airways and Qatar Airways will need about 7,000 pilots over the next two to three years. "The most difficult task for the airline management would be to put in place the exceptional operations and maintenance teams it had earlier," says Martin. Dabhol gets LNG boost but will RGPPL fortunes look up?